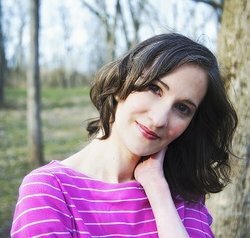 Krysten Lindsay Hager is a book addict who has worked as a journalist and humor essayist. She is the author of the Landry's True Colors Series and the Star Series. Tue Colors was her debut novel and the first book in the Landry's True Colors Series. Best Friends...Forever? (book 2) was #1 in Amazon's hot new releases in teen & young adult values and virtues fiction and #1 in Amazon's hot new release in children's books on values. Landry in Like (Book 3) was #3 in Amazon's Hot New Releases for Girls & Women. Her work has been featured in USA Today, The Flint Journal, the Grand Haven Tribune, the Bellbrook Times, and on the talk show Living Dayton. 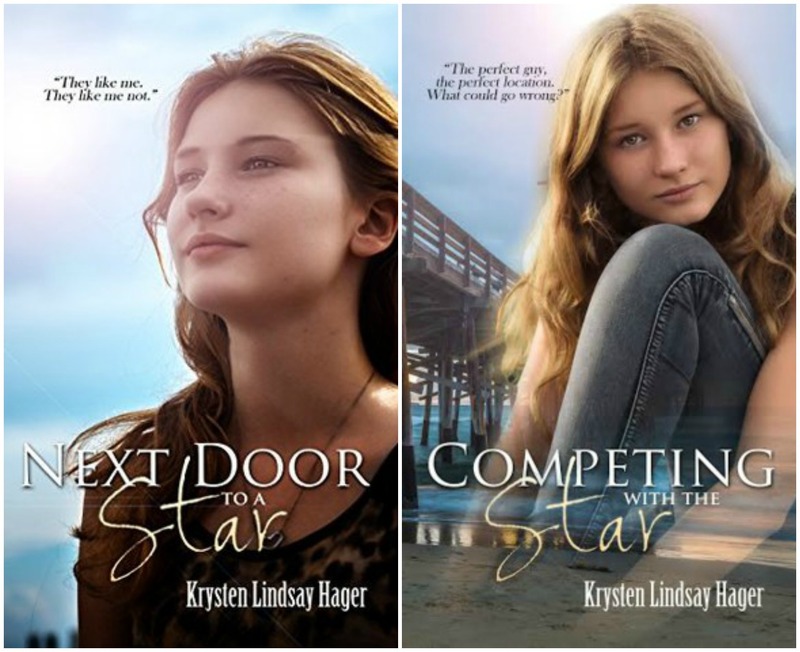 Check out her YA novel, Next Door To A Star (book 1 in the Star Series) and Competing With The Star: Book 2 in the Star Series. You can follow her at: http://www.krystenlindsay.com. 1) Could you sum up Hadley's character in five words? Loyal, sensitive, thoughtful, sweet, and introverted. She cares about her friends and trusts them to a fault, so when she’s betrayed she doesn’t know how to handle it. 2) Hadley and Nick are a very sweet couple. What's so special about real teenage love? I think Nick and Hadley have a special bond because he’s able to share things with her that he can’t talk about with other people and she understands. He finds a safety and peace in her that makes him love her more. However this is her first boyfriend and she lets her friends get into her head and hears that safe equals boring. She worries Nick will want to be with someone more exciting and exotic like his ex-girlfriend or Simone, the teen star next door. 3) Simone used to be a big star and has the personality to go with it, what inspired you to write about her this way? I wanted to show that even celebs who appear self-assured and confident have moments of deep insecurity. There was a celeb that I imagined as Simone appearance-wise when I first began writing the series and later I found out that particular person had major insecurities about her own physical appearance. Simone is the type of person who wants (and needs) to be the center of attention and there’s an insecurity in that—that fear of being ignored or lumped in with everyone else. She needs to feel loved and special. 4) You also write about a serious topic in this story, Nick's grandfather is very ill. Could you tell a bit more about this? Nick’s grandfather developed Lewy Body Parkinson’s with dementia. It’s not a very well-known disease and when a family member of mine was diagnosed with it was obvious the doctors weren’t super familiar with it either. I decided to include it in the story because I wanted people who were dealing with it (like I was) to feel less alone and also to inform people about it. Even though Nick’s grandpa is dealing with a lot and it’s changed his life, Nick’s bond with him has deepened and that’s what happened in my family. We grew closer. I hope anyone who is dealing with a loved one who hasLewy Body or Parkinson’s or dementia can feel less alone when reading this story. 5) Why have you chosen Grand Haven as the location for your series? Grand Haven is one of my favorite places to get away. It’s a beach town on Lake Michigan and I have gone there ever since I was a little kid. 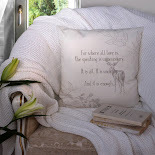 It’s somewhere I can be in the present moment and take in the gorgeous surroundings. I am obsessed with lake towns. 6) Do you have any advice for teenage girls who are in the same situation as Hadley: struggling with fitting in and trying to find out where they belong and how they can be themselves? Years ago I had to share something with a friend—something I was a little insecure about and I remember she said, “Well, everyone has their something.” And that is so true—we all have things we don’t put out there into the world for everyone to see, but it’s important to realize we are all dealing with something and to try to not compare ourselves. The key to accepting yourself is seeing what you have to offer and not worrying about what you don’t. One very lucky reader of With Love for books will win this beautiful sterling silver (and nickel free) heart necklace made by Sendi. Thank you so much :) I appreciate that! I bet we can all think of one big celebrity who harbors deep insecurities. My teenage niece is going through that awful 'nobody likes me' phase. Something like this would make her understand that that's just a part of growing up. 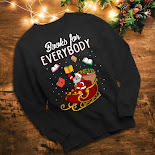 These books are new to me but the characters sound great and it sounds like my kind of books so I will add them to my tbr! I enjoyed the interview! Hadley sounds like a really nice person and a good friend. Nice interview and your books sounds sweet. Will definitely give it a read! 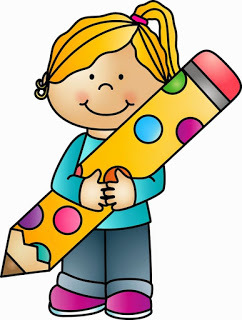 Question to the author: how did you come up with the names of the characters? I do have this book on my Wish List and I can't wait to read it. The necklace is gorgeous. 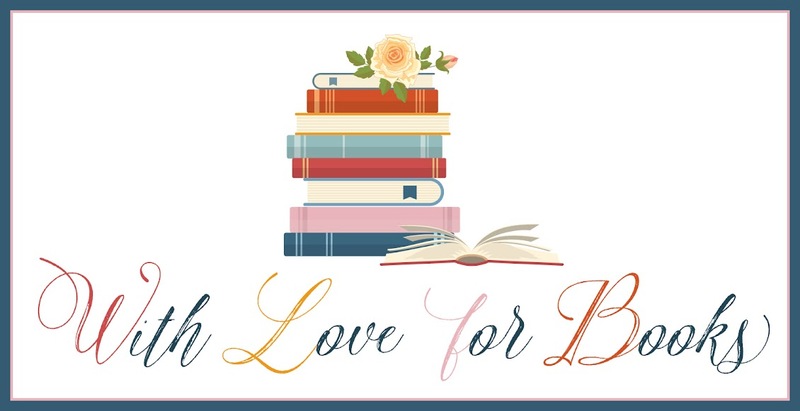 Reading is always a good thing especially for teens. It gets them to slow down, sit and reflect. These books would be interesting. 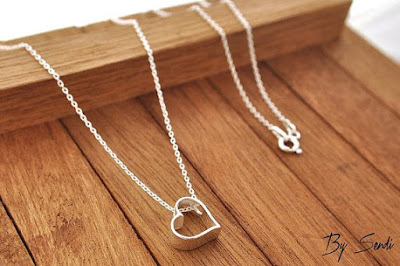 It would be great to win this Sterling silver heart necklace. The Star Series by Krysten Lindsay Hager sounds like interesting books. It would be great if you considered giving away paperbacks of these books. To Krysten Lindsay Hage: Thank you for all of your great writings. I cannot wait to read The Star Series, as it looks so interesting.